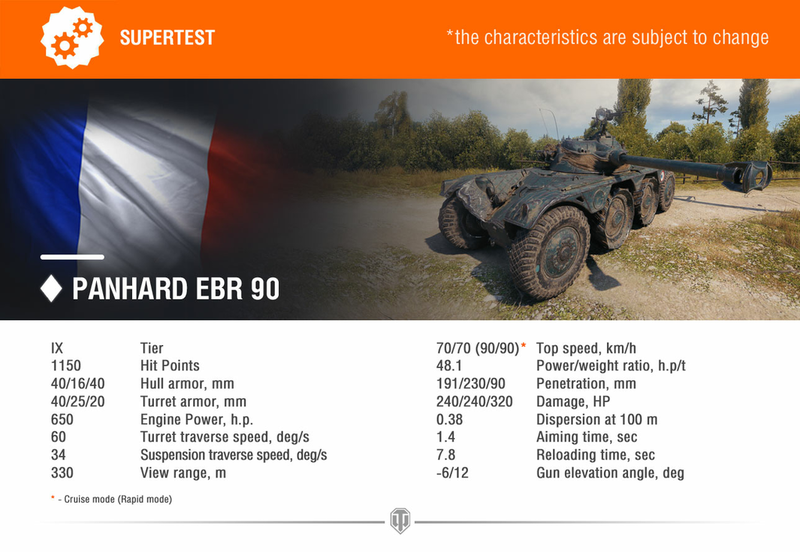 Yet another French wheeled vehicle entered Supertest, Panhard EBR 90. The Tier IX vehicle was an improvement from the Panhard EBR 75, with a smaller turret and a bigger calibre gun. 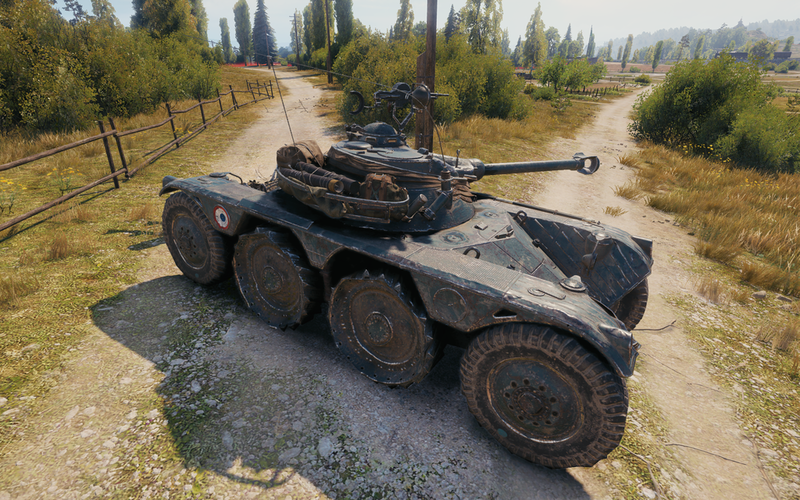 In World of Tanks, it will resemble the Tier X vehicle, Panhard EBR 105, in many aspects, making it a more natural progression. 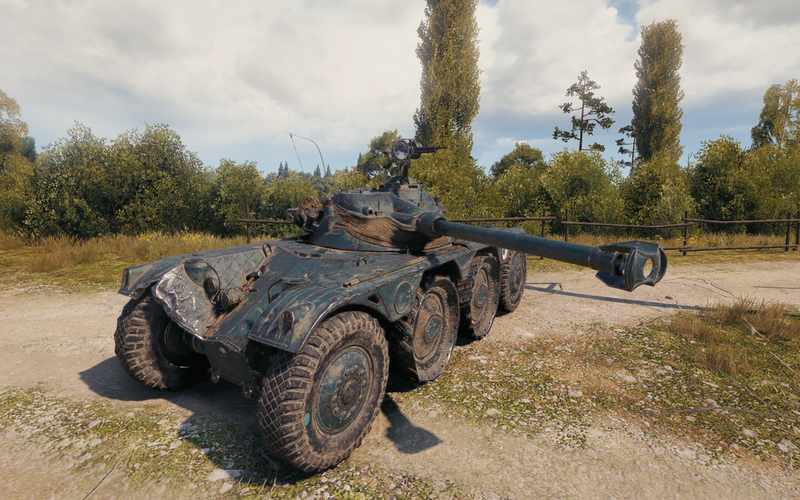 The vehicle boasts a powerful 90 mm gun, the same new mechanics and plays with other vehicles in the branch. Lightly armoured and very fast, active reconnaissance will be key, as the vehicle relies on agility and speed to be able to perform well in the battlefield, just as expected from wheeled vehicles. Low penetration values for a Tier IX vehicle and a very reduced small view range, makes sure the vehicle isn’t a damage dealer nor a passive scout. You will have to pick your targets and make sure you never stop moving. This will be the first Supertest iteration, according to the results, specs and detailed settings of the new game mechanics may change. Leave us your thoughts in the comment section. Lol at the comment about the tank not being a damage dealer not a passive scout. Yeah you are a free frag. I’m a light tank dedicated player with over 1200 battles in my elc even 90 who 3 marks all the lights he can get and I should be excited for it but I’m not. Most lights have the advantage of camo over meds. To compensate for same/slightly worse vr. This will have worse vr so it will be outspoted/at best spoted at the same range. So early on it will not be able to spot anything in the game because it would have to drive so close to enemy lines it would literally be surrounded. Also 1150hp in t9 means you have no survivability. Also you get a gun that can’t pen the sides of most heavies. The tank is fine on paper it’s better than the 13 90 except for pen. Which is only 10mm less. 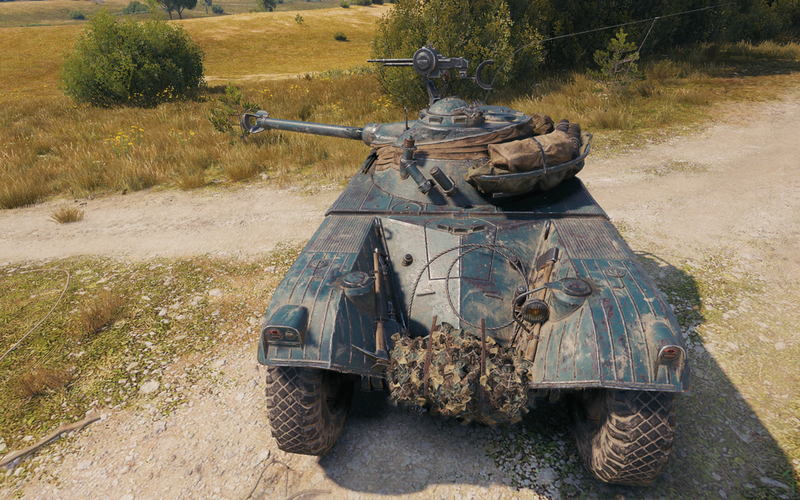 Wargaming said that the downsides to the tank is the gun. So you’re surprised? This is about the only thing I could complain about. As Norbar said, you pretty much have to drive next to your enemies if you want to spot them. It’s idiotic, considering this thing has no hit points to take a hit. Don’t worry, a couple of months later they’ll release the Russian Defender on Wheels and you’ll get 150mm all-around sloped armor, 100+ Km/h and 330 gold pen with the usual russian accuracy. Its almost like WG doesn’t even play their own game if they think this will work. Half the maps already don’t favor scouting as it is and they give this thing such abysmal view range when its supposed to be an active scout. As mentioned guys above: many of maps are not very appropriate for scouts (or even for arty in some cases). They promised to edit maps accordingly ie to remove bumps and small firm obstacles though.. Maybe I will have my Puma once German vehicles will arrive for collector purposes and maybe some other Sd.Kfz. but that’s it. I have a bad feelin about this! Previous Entry Winter Marathon: Get your SU-130PM for free!